August 7th, 2017 could have been a normal day for the British Virgin Islands. It was the tail-end of the islands’ dry season, a time of sunshine and balmy temperatures. On this particular day, however, it was everything but normal when the islands received a quarter of their annual rainfall. The circumstances may have surprised the islanders, but a few weeks later, the inhabitants found themselves faced with something more unusual and dangerous. Something catastrophic. In 1989, life bounced back to normal in a matter of weeks following Hurricane Hugo—a Category 4 storm—that hit the islands. But on September 6th, 2017, Hurricane Irma—a Category 5 hurricane—struck the island in the early daylight hours. Because of the damage, the police imposed a curfew on the island’s inhabitants. That didn’t stop Bloustein School alumnus Angela Burnett Penn MCRP ’14 from traveling to the islands to record the stories of Irma survivors. 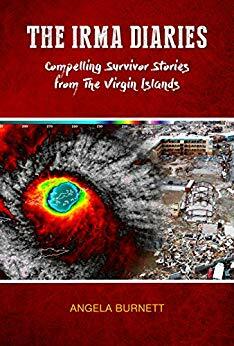 She recently visited the Bloustein School to discuss the stories she collected for her book The Irma Diaries: Compelling Survivor Stories from The Virgin Islands, which attempts to convey the true impact of the hurricane on the victims of Irma. Although precautions had been made for an expected Category 2 or 3 hurricane, Irma intensified and the islands experienced extensive damage. Ninety-five percent of the country lost electricity that remained shut off for five days. There was no potable water for several months. Thirty percent of schools and 40% of clinics were lost. Government and security buildings were completely blown through. Beaches and vegetation were significantly eroded, and aren’t expected to return to pre-Irma levels until 2032. The Irma Diaries is available for purchase at https://www.theirmadiaries.com/ or as an e-book on Amazon. Following Hugo, homes were built to withstand storms, but the city had not planned for the flooding caused by a Category 5 hurricane. The islands’ tourist economy took a large hit as the Central Business District was blown to pieces. The aftermath looked like a bombing. Food, water, shelter, and jobs were gone. When the military arrived they expected many deaths and were prepared with many body bags. While there were only four immediate deaths caused by Irma, more deaths followed due to stress as citizens tried to remain hopeful in a dire situation. As a former city and regional planning student, Burnett Penn’s work focuses on the island’s ability to prepare for such catastrophic events. “Hurricanes are just one extreme we face with climate change,” she says. “[We must] think about climate extremes when planning for communities.” Small countries like the British Virgin Islands cannot sustain a hit from a hurricane of Irma’s power, which is why Burnett Penn believes planners are going to be the most important group in adapting to such extreme events. 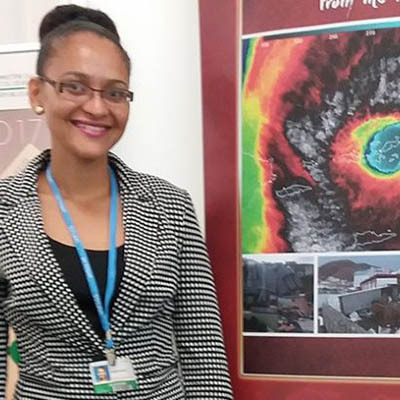 Having served as the Territory’s Climate Change Officer since 2008, Burnett Penn designed and implemented several programs to help establish the British Virgin Islands as an innovative community of sustainability and defenders against the effects of climate change. The Intergovernmental Panel on Climate Change (IPCC) is typically conservative in its recommendations and projections, but has recently used very intense language for future hurricane projections. The frequency and intensity of hurricanes has increased from 1979 to 2012. MIT found that in 1990, 1 in 800 hurricanes could have reached a Category 5 level. In 2017, 1 in 180 could have reached that level. By 2090, 1 in 60 hurricanes could reach Category 5. The IPCC, after assessing Irma’s damage, identified that the Category 5 Irma should have been a Category 6 hurricane teetering on Category 7. A local New Jersey resident that attended Burnett Penn’s discussion was also a survivor of Irma. She told her story of how she and her daughter held on to their bathroom door for twelve hours, praying and singing not knowing if they were going live. Burnett Penn understands how the impact of storytelling can bridge the connections of hurricane and extreme weather event survivors to policy makers and planners. 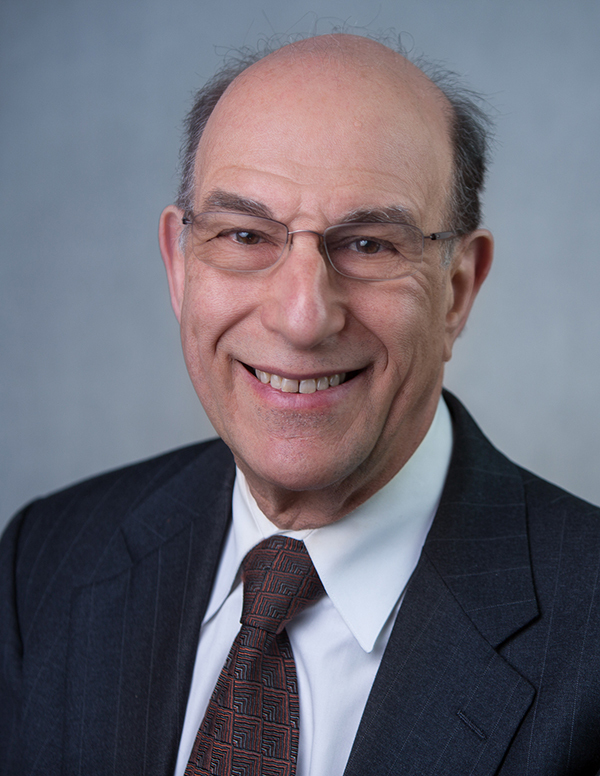 “It takes a personal connection,” Burnett Penn says, “to make others become ‘citizen scientists,’ as well as influencing policy makers and planners.” Policy makers and planners must work together, Burnett Penn notes, even if both have different values. Progress may take a long time, but by listening to the experiences of extreme event survivors, planners can better design cities to withstand the harsh effects of climate change, and think optimistically about an unknown future. Burnett Penn’s book is available as an e-book through Amazon with 25% of sales benefiting the Virgin Islands Climate Change Trust Fund. Print copies of the book are available on The Irma Diaries website.